When we open-sourced buildpacks nearly seven years ago, we knew they would simplify the application deployment process. After a developer runs git push heroku master, a buildpack ensures the applicationʼs dependencies and compilation steps are taken care of as part of the deploy. As previously announced, weʼve taken the same philosophies that made buildpacks so successful and applied them towards creating Cloud Native Buildpacks (CNB), a standard for turning source code into Docker images without the need for Dockerfiles. In this post, weʼll take a look at how CNBs work, how they aim to solve many of the problems with that exist with Dockerfile, and how you can use them with the recent beta release of the buildpacks.io project. As part of this release, we’ve created a Heroku buildpacks builder image for Ruby, Node.js, Java, Python, PHP, and Go that works with the CNB tooling. Maintenance is the biggest shortcoming of Dockerfile. Aside from copy-pasting code, it introduces lower level concerns that you wouldn’t need to worry about without it. For instance, Ruby, as with many languages, has several base images you can inherit from, and each one comes with its own size and security considerations. If, one day, the Rails ecosystem requires a new dependency that isnʼt included in your existing Dockerfile, you are responsible for updating the configuration as needed. If youʼve broken your project out into microservices, that could also mean updating several files across multiple locations. All of these problems stem from Dockerfileʼs lack of app awareness. Without context about your application or the frameworks you use, thereʼs a giant mismatch between how a developer builds an application and the tools they use to deploy that app. remote: Bundle complete! 18 Gemfile dependencies, 61 gems now installed. A buildpack automatically handles all these steps for you by recognizing the conventions of your applicationʼs language. Buildpacks were designed to configure whatever is necessary to run your application. With Cloud Native Buildpacks, we wanted a similar system that allowed developers to focus on their app and not piece together a build pipeline, while taking advantage of Docker and modern container standards. Much like buildpacks that produce execution-ready slugs, a CNB will identify what is necessary to install based on the existing files in your project. There is no configuration necessary to identify your applicationʼs requirements. Since the buildpack is app-aware and knows the precise languages and dependencies your app uses, the build phases also come with sane defaults for memory performance and handling concurrency. * The CLI detects the primary language of your project. For example, if your source code directory has a Gemfile, the CNB will identify it as a Ruby project; a pom.xml file identifies it as a Java project, and so on. * The execution environment then analyzes a previous build to determine if there are any steps which can be reused in a subsequent build. * The CNB runs the build, downloading any dependencies and preparing the application to run in production. * Finally, it exports the result of that build as a Docker image. Come join us on Slack. We also have API documentation available that defines the buildpack spec if youʼd like to generate your own OCI images. 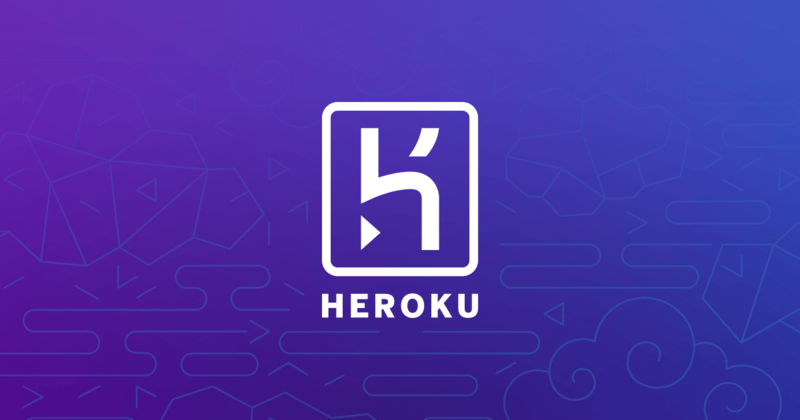 Heroku has always found it important to meet developers where they are: at their applicationʼs source code. We believe that Cloud Native Buildpacks reduce the operational complexity with building container-based applications and frees developers up to focus on building great features for their users. Trump’s indifference to the suffering in Yemen is to be expected, But what about ours? Do the American people not realize that our bombs are killing innocent children in Yemen or do we just not care? The lack of public outrage – or even just attention – to what the US-backed Saudi-led coalition is doing with American support and American-made munitions indicates something disturbing. Despite the evidence that we have become more politically engaged since the 2016 election, we still have little to no interest in what is done in our name overseas.